Do you feel like your heating bills are higher than everyone you talk to even though you don't crank up the thermostat? 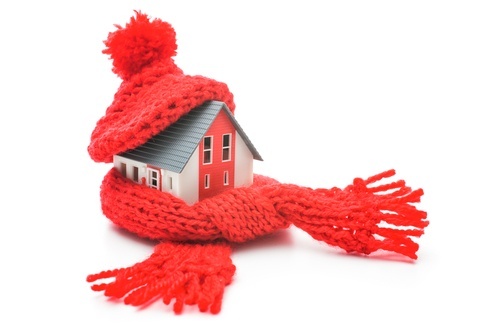 Does your heating system run for hours without stopping even on relatively mild days? Does the temperature quickly fall when your heating system stops? If you answered yes to any of these questions, it may be time to add insulation to your home. Heat has a natural tendency to even itself out. If a hot area is next to a cold area, heat will move from the hot area to the cold area. This could be a hot coffee mug sitting on your cool kitchen counter or your home and the outside world. Insulation in your home works in much the same way as a thick coffee mug — it makes it harder for heat to travel and keeps it in the same place longer. An uninsulated home might be like pouring coffee in a paper cup, while a tightly insulated home could be like a thick thermos. The longer the heat stays trapped, the longer it takes before you have to microwave the coffee again or turn your furnace back on to bring your home's temperature back up. Before central heating and cooling systems were common, homes were built to naturally regulate their temperatures through the use of strategically placed windows and thick insulation. In modern construction, the central HVAC system is looked to as the primary source of heating and cooling and insulation is only a secondary concern. In fact, in many new homes, insulation is one of the main areas where builders can look to cut costs. This also applies to added rooms to older homes. While you may think adding insulation to your home would require extensive renovations, it only takes a few hours to significantly improve your home's insulation. Spray foam insulation can be blown into your attic on top of existing insulation to help stop the cold from settling through your roof. Your basement and crawl spaces are often big sources of heat loss as they are unheated but typically have little insulation separating them from the heated areas of your home. Special insulation panels can be added to the ceilings of these spaces. To learn more about the options for improving your home's insulation and to get an estimate of both the cost and potential energy savings, contact us today.